What’s it about? Touma and Souichiro Tachibana share everything: their birthday, their parents, and their love of baseball. Thirty years ago, Meisei High School made it to the national tournament at Koshien Stadium, but they haven’t been back since. Now, the Meisei Middle School team has two immensely talented players who can’t wait to reach high school. They have the same birthday, the same parents, and play for the same team, but Tou and Sou aren’t twins. Mitsuru Adachi, despite an immensely successful career spanning over 40 years and continuing to this day, never really caught on with English-speaking audiences. 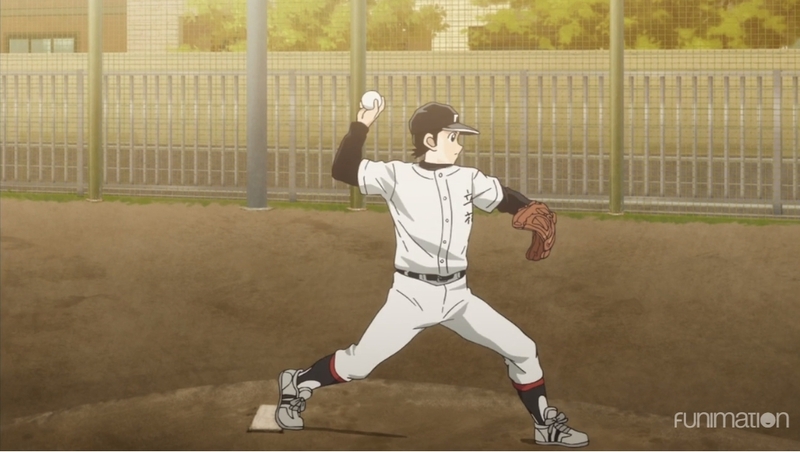 His best-loved series, the baseball tragedy Touch, has never even been officially released in English. Can the loose sequel Mix capture US audiences, despite their lack of familiarity with its history? It’s hard to say, based on this point. Mix certainly banks quite a bit on nostalgia—there’s a lengthy introduction portraying what I can only assume is the climax of Touch meant to tap into a deep familiarity that, for most US viewers, simply won’t be there. Not that you need to know anything about Touch to understand Mix. It’s like watching Degrassi: The Next Generation despite never having seen the original Degrassi. All of you, of course, precisely understand that reference. I admit, Mix is probably going to be a hard sell for most audiences. While I quite like Adachi’s distinctive character designs, they haven’t changed significantly since his debut in the 70s and look simple, even cartoony, by modern aesthetic standards. Despite the characters’ insistence that the brothers don’t look alike, they look… pretty much identical, other than Touma’s fuzzier hair. The first episode meanders through its story beats, taking its time with lengthy panning shots and flashbacks. The creative team seem to be aiming more for a relaxed, calming atmosphere, sacrificing economy of storytelling in the process. Stylistic flourishes meant to evoke the experience of watching a VHS tape emphasize their nostalgic intentions. Fortunately, the script captures Adachi’s sharp, naturalistic dialogue. Even if Touma and Souichiro aren’t actually twins, they have one of the more accurate twin relationships I’ve seen portrayed in fiction. They fight and squabble over petty things like who was born first, blame one another for things that can’t possibly be their fault, but still spend much of their day together. Whether they like it or not, they’re connected and stuck together for the long haul. They aren’t the only Tachibanas at Meisei Middle School, though—there’s also their younger sister Otomi. Happily, she doesn’t fawn over her brothers, but instead has a lot of sass and spirit or her own. This being a sports anime focusing on a male team, it’s pretty up in the air how the female characters will come across. So often, they have no lives or interiority of their own, but rather just exist to support and care for the male team members (although managing editor Dee says the female characters in Adachi’s Cross Game are well-developed, so that may be a good sign). I like Otomi, but it’s simply too early to tell how Mix will treat its female characters. It’s too early to tell a lot about this one, honestly.